A good Overwatch team composition requires balance, offense and defense, light and shadow, yin and yang. Or you can just smother your problems by throwing a bunch of meat at them. That’s what Chinese Overwatch team Miracle Team 1 decided to do against FTD Club in an Overwatch Premier Series match, and it worked shockingly well. 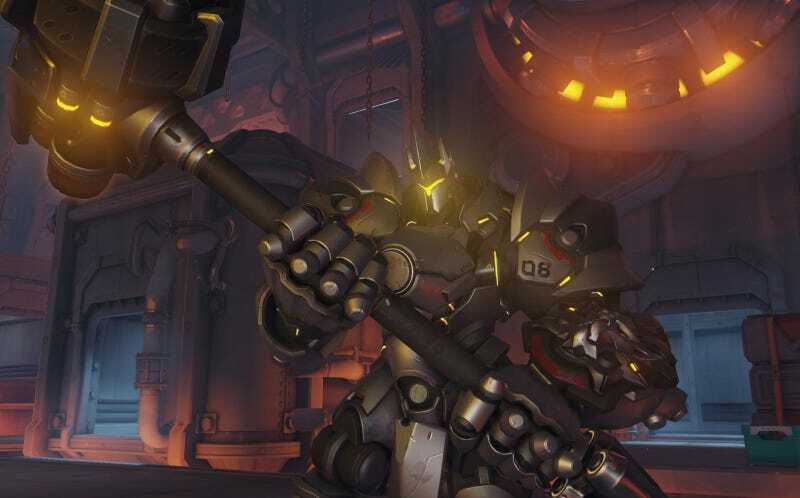 They pushed to the first point on King’s Row using a composition made up of Reinhardt, Zarya, Winston, Roadhog, D.Va—all tanks—and just one support in Lucio. By most accounts, it’s not an advisable tactic. You lose out on the mobility and versatility more varied comps give you, and you’ve got a bunch of HP-heavy characters who are massive targets, meaning the other team can charge their ults more easily than normal. It worked remarkably well. FTD could never have seen the meat tidal wave coming since it’s a strat that, to my knowledge, nobody’s ever used at this level of play. When it crashed against the shores of their defense, it was already too late to switch to a composition more prepared to counter it. Moreover, MT1 deployed their brigade of implausibly large humans (and an implausibly small human in an implausibly large robot, as well as a normal-sized ape) in an uncharacteristically sneaky fashion, tip-toeing through King’s Row’s hotel instead of pushing straight up the middle to the first point. As Dot Esports observes, FTD had no choice but to move out of position to avoid getting steamrolled. It didn’t end there, either. MT1 kept the strategy going and managed to pull off a huge play involving yet another tank, Orisa. She yanked the other team’s Reinhardt, giant shield and all, into an awkward spot, clearing the way for MT1's Reinhardt to deploy a huge “earthshatter” ult and knock down two members of FTD. His teammates mopped them up shortly after. Not long after, MT1 switched to using just four tanks, but their strategy remained similar. FTD had no answer for it as MT1 pushed to the final point and ended the match 3-0. Welcome, friends, to the Meat Wall Meta.